Immunoglobulins demonstrate a single arc when analyzed against normal serum proteins by IEP. The resins provided comprise of immunoglobulins covalently bound to a 4% agarose bead utilizing strong and stable hydrazide/aldehyde group chemistry. 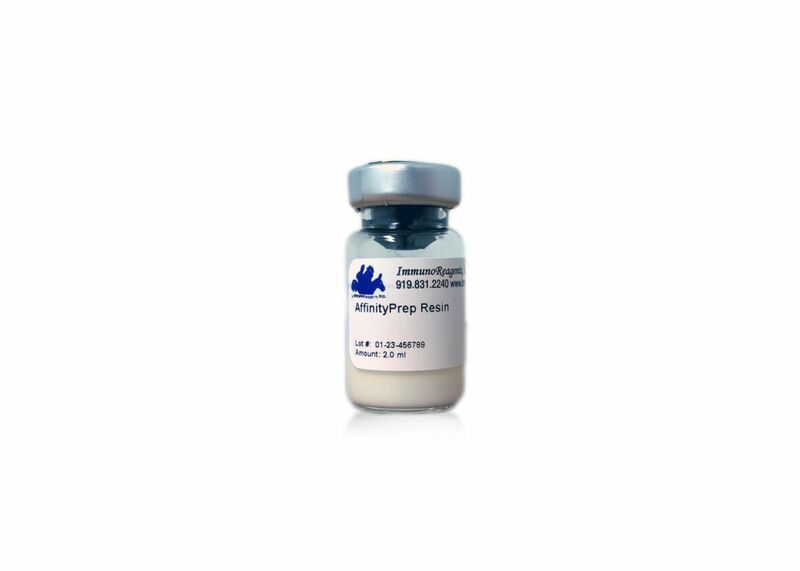 The Affinity Prep resins have 8-10 mgs of antibodies per/ml of resin, with a 24 month shelf life reagents. ImmunoReagents is a manufacturer of quality research and production reagents for the Life Science Industries. Product lines include a wide range of antibodies used in ELISA, immunohistochemistry (IHC), western blotting, flow cytometry (FACS), immunofluorescence and microscopy. Antibodies produced cover a broad range of Immunoglobulin s from various species cross absorbed to provide high specificity. This resin is suitable for removal of proteins recognizing Llama IgG from liquid solutions, including traditional Immunoabsorptions and Immunoprecipitation protocols. Ordering information: ImmunoReagents products will be accompanied with a standard product CoA to include application, purity and cross reactivity profiles. Additionally, products can by customized based on specific assay requirements. Contact your VWR representative for more information.